Scratching is the worst thing to do when you have an itch, it just makes it worse. Sometimes we are faced with tough situations in our life. Some stuff is tougher than others, but never-the-less, tough is tough, it doesn’t matter which way you look at it. Making a decision and standing by it, is one of those times when you really need to have your Ego in check. Some decisions take time. We ponder and ponder, stressing ourselves out to the max trying to come to the place where we can decide for good, one way or another what to do. 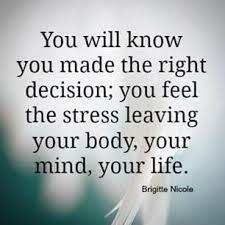 Think of the decision making as a rash! The more we stress the bigger the rash gets. The more our Ego gets involved, the itchier it gets. I have found that the best way to cure the spots and the scratching is just to surrender to my ‘Higher Good’. What good is the Higher if I don’t know what that is? With every situation we are faced with, whatever it is – it is happening for a very good reason. It is part of the plan the Universe (your Soul) has for you. Every time we are faced with a ‘decision making’, it is part of the process to help lead you on your way, closer to where you are suppose to be going. If we allow our Ego to take over the rains, then chances are you won’t make the right decision, or maybe you won’t make one at all – and that will just keep you ‘stuck’ in the mud. Trusting your ‘Higher Power’ will allow the Universe to whisper the proper and correct answer to you, so you can make the right decision, the best one to suit you where you are at. If you don’t scratch the itch, the rash won’t get worse and you will be open to ‘seeing’ the synchronisities that come your way. This is your ‘Higher Good’, coming to rescue you from that uncomfortable sensation on your skin that is causing you the desire to scratch. Let go, stop itching and trust the process of the vision you have for your life.